The CSVP 2018 gathering was held at the Canadian Museum of Nature in Ottawa, Ontario. Because I was hired for their logo, my conference fees were waived, so I attended and gave a talk on "Names, Narrative & Imagery". 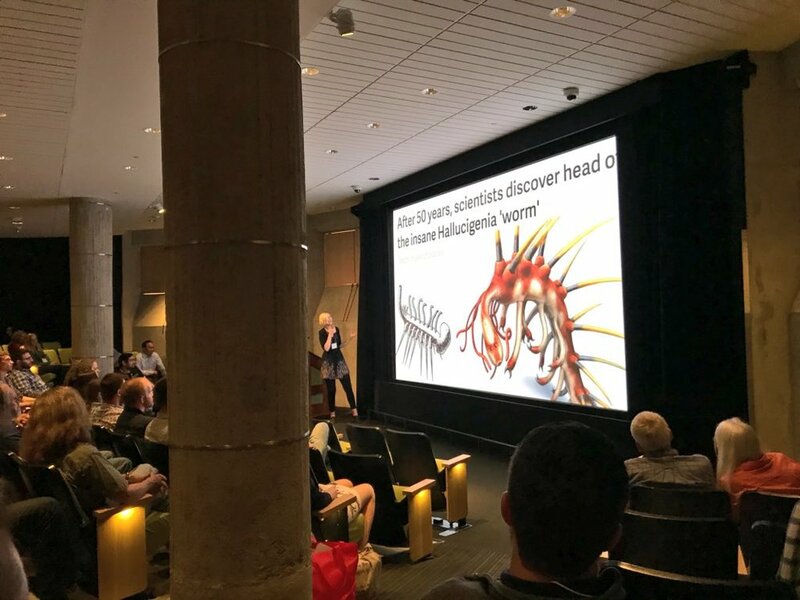 To give a summation: fossil taxons go viral when they have a memorable name, paleoart renditions, and a concise but gripping story. Crafting a fossil taxon to have max charisma is an important, but sometimes overlooked, aspect of science communication. It was also nice seeing my logo everywhere! The three elements requested for the design were a maple leaf, a Brontothere, and the Victoria Memorial Museum Building.